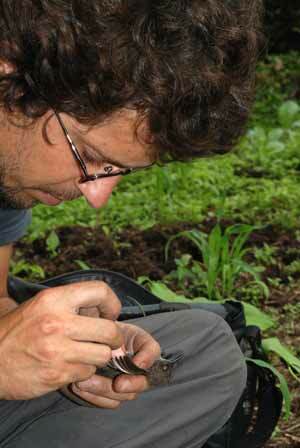 has a broad interest in African birds and their conservation, and has been working in Angola since 2005. He is currently working on various Angolan projects for the A. P. Leventis Ornithological Research Institute of Nigeria, in partnership with BirdLife South Africa. Michael has a Masters Degree in Conservation Biology from the Percy FitzPatrick Institute of African Ornithology, and is a specialist bird guide, having travelled throughout the continent leading bird watching tours to remote areas, including Angola. Click here to see his publication list. 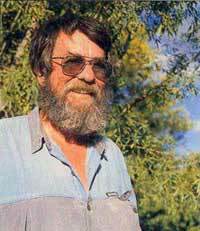 surveyed and collected birds in Angola in the 1970s and has maintained his interest in Angola's avifauna ever since. He compiled (and now maintains) a vast database of Angolan bird records, which culminated with the publication of his landmark "The birds of Angola" in 2000.
an Angolan national, is Managing Director of the Kissama Foundation and Co-ordinator of Environment and Natural Resources Department of the Catholic University of Angola's Studies and Research Centre. He helped rediscover Angola's national mammal, the Giant Sable, and spends most of his time studying this animal. 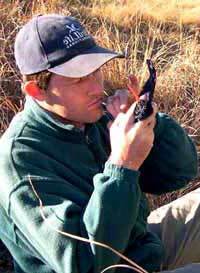 He also has a broader interest in conservation and ornithology, and has conducted research on the Vulnerable Grey-striped Francolin. Pedro is an energetic, hands-on conservationist. 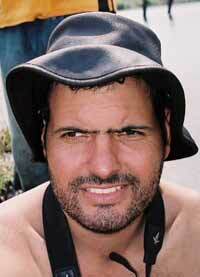 is a Portuguese ornithologist with an interest in bird evolution and conservation. Martim has worked extensively on the Gulf of Guinea islands, and holds a PhD from the University of Edinburgh. .
is a Peruvian biologist with an interest in conservation and natural resources management. 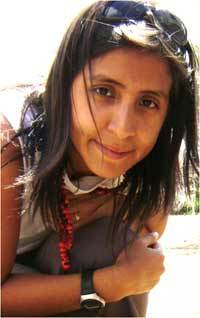 She hads participated in projects in Angola, Argentina, Brazil and Peru, and did her masters degree at the University of Porto in Portugal project will be on the ecotourism potential of Mount Moco. She has recently commenced a PhD at Kumbira Forest looking at how different land use practices effect birds, especially the threatened endemics. Birding Africa is a Cape Town based bird tour company that offers specialist African tours. It runs regular tours to Angola in search of the country's specials. As part of its research and conservation strategy, it organised a reconnaisance trip to Angola in 2003 and part-funded a three-month exploratory visit to survey threatened birds in Angola in 2005. Conservation International is a top player in the global conservation effort, with projects around the world. It part-funded a three-month exploratory visit to survey threatened birds in Angola. The African Bird Club sponsors conservation research on African birds, and supports the work of Birds Angola. APLORI is a post-graduate institute for bird study, based in Nigeria, and is involved with conservation and capacity building in Angola. BirdLife International is the world's leading bird conservation organisation. It has a worldwide network of partners, although no partner exists yet in Angola. The African Bird Club promotes awareness, research and conservation of African Birds. Wetlands International is the only global NGO dedicated to the conservation and wise use of wetlands, to benefit diversity and human well-being. They run various project in Angola. The Percy FitzPatrick Institute of African Ornithology is a leader in ornithological research and conservation. It is recognised as a Centre of Excellence, based at the University of Cape Town, South Africa. Conservation International is a top player in the global conservation effort, with projects around the world.